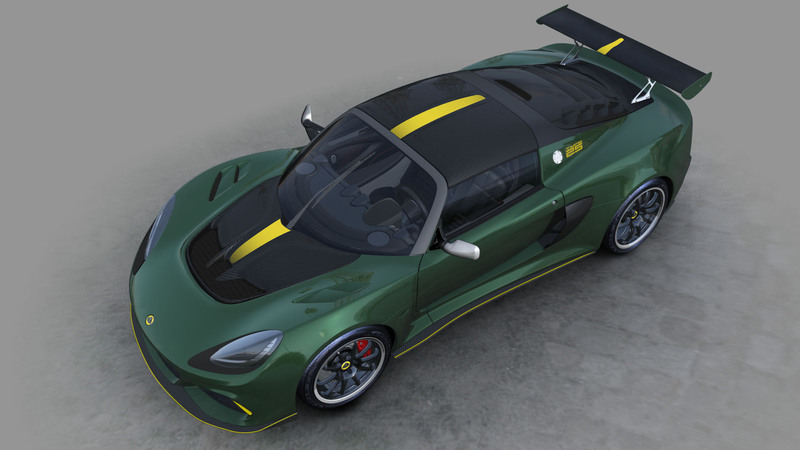 Fans of legendary design engineer Colin Chapman's work can now get their hands on the new Lotus Exige Cup 430 Type 25, a limited-edition model created specifically as an homage to the influential 1962 Lotus 25 Formula 1 car. 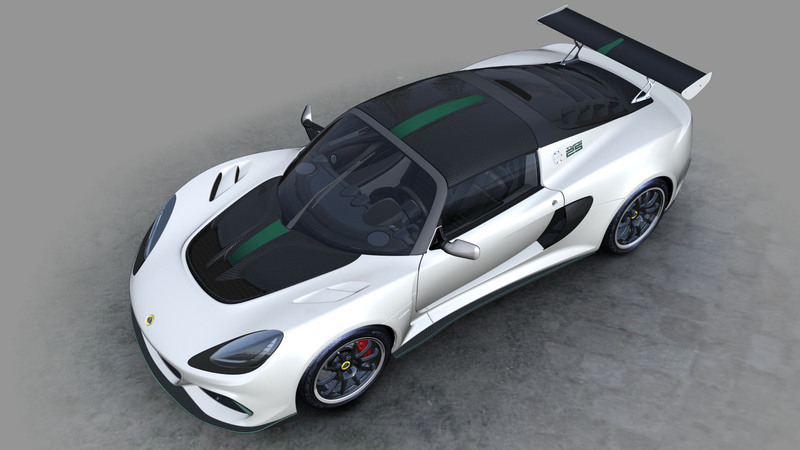 No, the Exige Cup 430 Type 25 isn't just a regular Exige with a fancy name and the Lotus 25's racing livery tacked on. Colin Chapman's son and Classic Team Lotus (Lotus' heritage racing division) director Clive Chapman was on hand to make sure this special edition was a proper tribute to Lotus' iconic race car. The base car is an Exige Cup 430, the hottest Exige on offer with 430 horsepower crammed into its 3.5-liter, supercharged V-6. 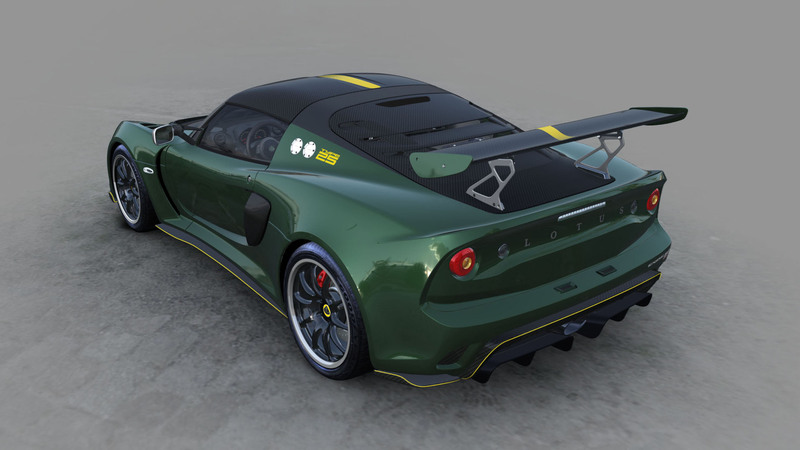 Buyers can choose between metallic Lotus Racing Green with yellow accents and Old English White with green accents for the exterior, but we're certain most Lotus 25 enthusiasts will go with the former. Carbon racing seats and a six-speed manual transmission with a wooden shift knob are standard, the latter of which was inspired by the Lotus 25's gear lever. While the car does come with air conditioning, carpeting, and an infotainment system with smartphone integration, all of these can be taken out because "race car." In addition, buyers can choose the interior's trim and accent colors. Each car comes with a signed certificate of authenticity and a copy of Eric Dymock's book Jim Clark: Tribute to a Champion autographed by Clive Chapman and Clark's principal mechanic Bob Dance. Buyers will also receive an invitation to Lotus' factory in Hethel, England to pick up the car with an optional guided tour of the facility. "[The Lotus 25] is a perfect example of Lotus’ design philosophy – light, yet incredibly strong and peerless on the racetrack. That same ethos, our company DNA, is found in the Exige Cup 430 Type 25, which is lighter than its predecessors and even more powerful," explained Lotus Cars CEO Jean-Marc Gales. "On everyday open roads it rewards its driver with a pure analogue experience, like only a Lotus can, yet venture onto the track and you’ll find a depth in performance that only the very best driver can truly exploit." 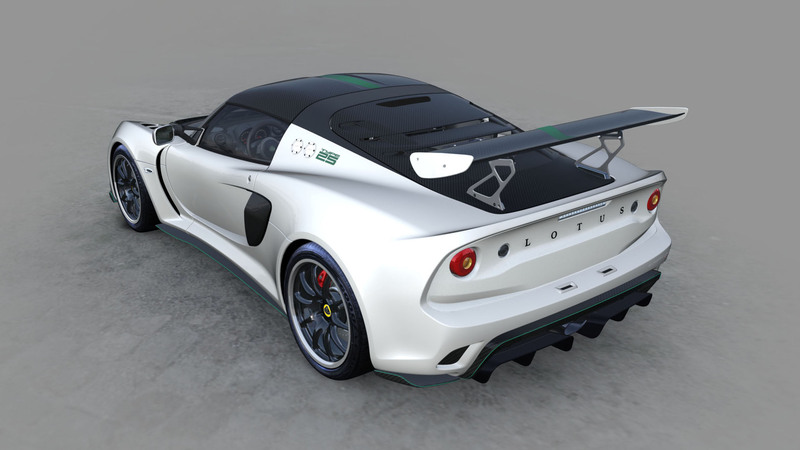 Lotus will only hand-build 25 of these collector's edition Exiges, which will retail for approximately $154,000. Sadly though, the company says the Exige Cup 430 Type 25 is only destined for markets in Italy, Germany, France, and the United Kingdom.